The Rt. Rev. John Smylie has announced the appointment of the Rev. Jill Zimmerschied of Wheatland, Wyoming, a long-time Deacon in the Diocese of Wyoming, to serve as the Archdeacon for the Diocese of Wyoming. Wheatland, Wyoming – The Rt. Rev. John Smylie has announced the appointment of the Rev. Jill Zimmerschied of Wheatland, Wyoming, a long-time Deacon in the Diocese of Wyoming, to serve as the Archdeacon for the Diocese of Wyoming. In the Episcopal Church, an archdeacon is the senior deacon within a diocese and has responsibility for serving at hierarchical services (those at which the Bishop is present and presiding). As archdeacon, the Venerable Jill Zimmerschied will provide administrative assistance and other leadership to congregations and church organizations in the Diocese of Wyoming. The Rev. Jill Zimmerschied was ordained as a Vocational Deacon in the Diocese of Wyoming on September 2, 2002. She serves at All Saints Episcopal Church, Wheatland, Wyoming. Jill has served as a Eucharistic Minister, EFM (Education for Ministry) Mentor, Worship Team Leader and Altar Guild Leader and is also a volunteer Hospital and Nursing Home Chaplain. 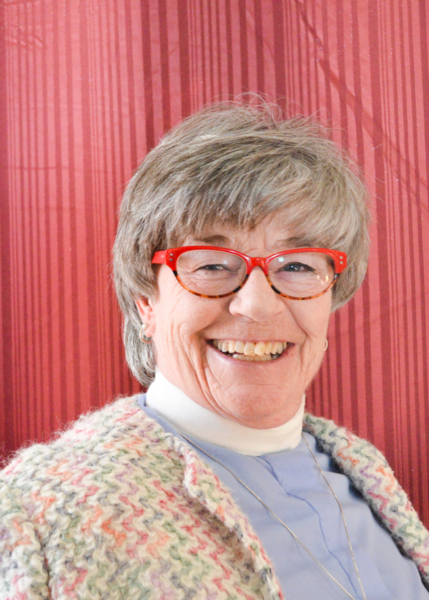 She has been a member of the Commission on Ministry for two terms and is on the Wyoming Diocesan Discernment Team for those entering the process of ordained ministry. Jill is passionate about Suicide Prevention and is training to be a Loss Survivor Contact for Platte County. She received her A.S. from Laramie County Community College with a degree in Office Administration and has been the Platte County Deputy Assessor for 20 years.